My all-time favorite Halloween related thing would have to be “Roseanne” Halloween episodes. No television show could rival it. Except maybe “Home Improvement” definitely came close (I wish they would release those on a dvd collection). Roseanne is one of my absolute favorite shows, and they knew how to do Halloween. While the last couple of the show seemed slightly off to me, as a whole, they are simply the best. Not a movie, but deserves to be on the list. 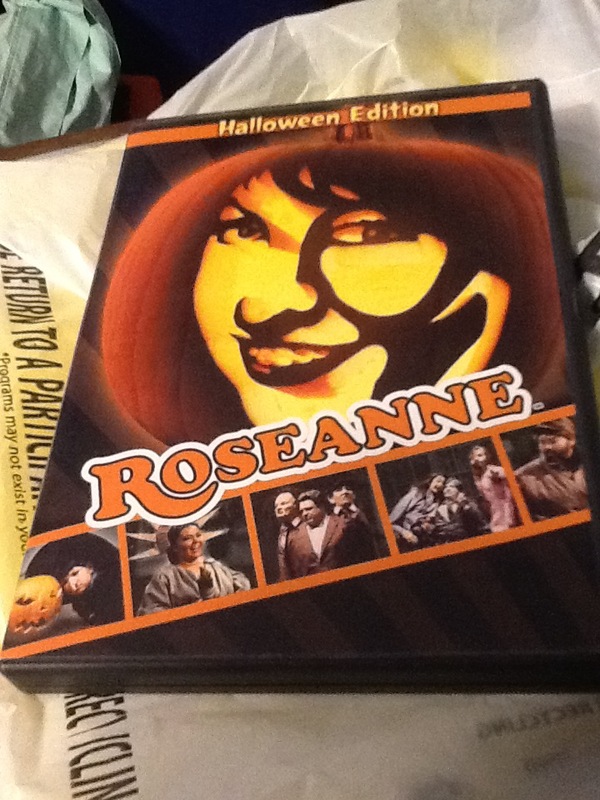 You can find all the Halloween episodes of “Roseanne” on a lovely, umm, gruesome dvd. BOO! – The Conners kick off a family tradition with a night of increasingly outrageous pranks. TRICK OR TREAT – When Roseanne wears a lumberjack costume, she learns a few hilarious lessons about ‘real’ men. TRICK ME UP, TRICK ME DOWN – Jackie flirts with with a moose and Roseanne pranks the new neighbors. HALLOWEEN IV – Having lost her holiday spirit, Roseanne is visited by the ghosts of Halloween past, present, and future. HALLOWEEN V – It’s Halloween night at the diner, but the real shocks are about to come from some very unexpected places. SKELETON IN THE CLOSET – A Halloween party at the Lunch Box brings out Leon’s gay friends as well as Bev’s hair-raising secret. HALLOWEEN: THE FINAL CHAPTER – Roseanne’s ouija board delivers the most unexpected news of all. My favorite of them is definitely the first one, BOO! It is everything I love about the show.